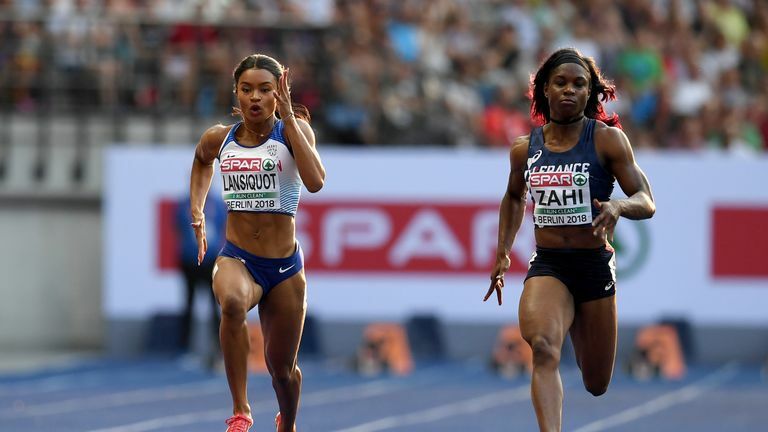 Imani Lansiquot paid a moving tribute to her late great-granny after overcoming an emotional few days to run a season's best in the 60m in Toran. The IAAF World Indoor Tour was in Poland on Wednesday with the 21-year-old Sky Sports Scholar competing with fellow Brits Laura Muir, Elliot Giles and Bianca Williams at the Orlen Copernicus Cup. World leader Ewa Swoboda edged home in the 60m to delight her home crowd in 7.15 seconds ahead of Marie Josee Ta Lou, with Lansiquot third in 7.23s - her best time of the campaign. "The main thing I wanted from the race was my mojo," the south London sprinter said. "I've had a rocky few weeks and finally felt I had my stride and confidence back. "I'm super happy with a new season's best and coming third in a top, world class field. I was fifth in this meet last year and so I'm super happy with my progression and ability to keep my head in high pressure environments. "I lost my great-granny over the weekend and debated with my team whether or not I would be up for racing, as it was really hard to handle. "She was so smart, brave, mischievous and kind, and I just knew in my heart she would want me to race. "I did it for her and with her in mind. I just wanted to make my family proud and I'm over the moon to have done just that!"